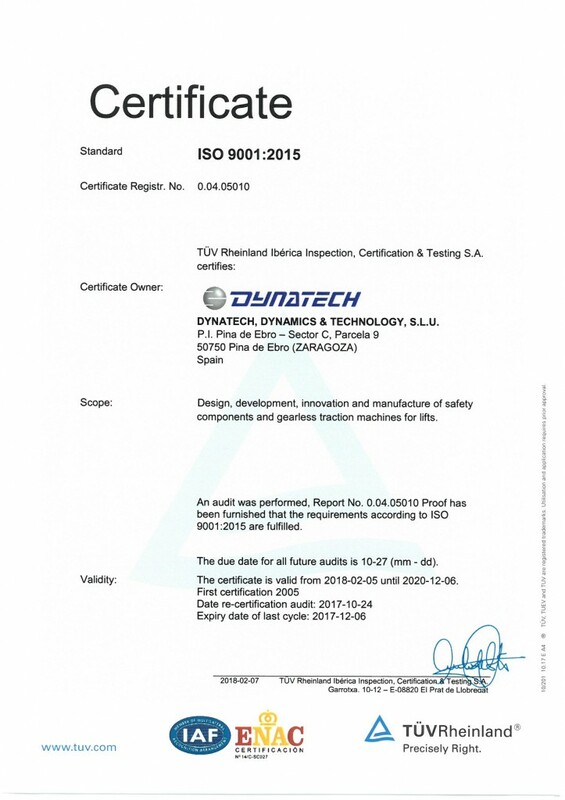 Dynatech has now the new ISO 9001:2015 certificate. We are delighted to inform you that we have now the new ISO 9001:2015 certificate, issued by the accredited body Tüv. The Audit was successfully passed last 24th.October.2017. This certificate is available in the following languages: Spanish, French, English and German.